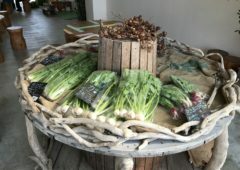 In June, a brand-new restaurant grand opened in downtown Uruma City. This is not your ordinary restaurant; this is Japanese Shabu-shabu. 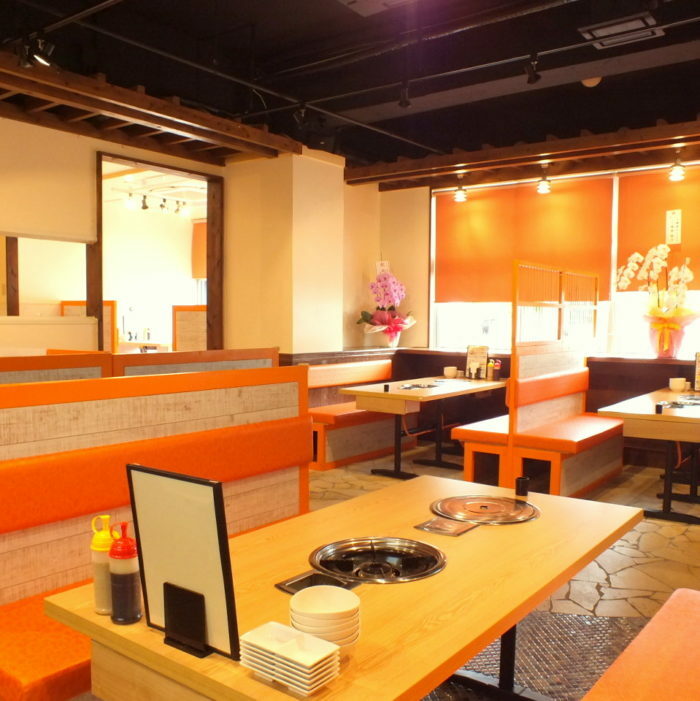 Meet the new “Shabuemon” restaurant located in Uruma City’s Midorimachi. 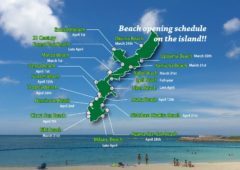 The restaurant is very conveniently located near Camp Courtney and Camp McTureous and being off the main road, it is easily visible, suited with plenty of parking. Inside is a brightly lit atmosphere outfitted with very comfortable sofas. Seatings are available for up to 6 people. Shabuemon’s manager Kimie Miyahira and her friendly staff will be glad to serve and assist you with your order. If you have never experienced a Japanese shabu-shabu style meal, set all your worries aside; Shabuemon’s friendly staff will be glad to help you with your menu selection. 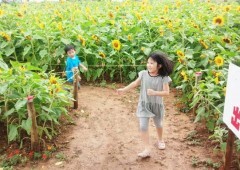 English menus are available along with helpful tips to make your experience all that wonderful. Now you are probably asking what is a shabu-shabu style meal? It is very similar to a ‘Yakiniku’ style restaurant, where you cook thin slices of beef, pork, chicken, and an assortment of vegetables. But instead of using a grill, you are cooking the ingredients in a boiling pot of hot soup. 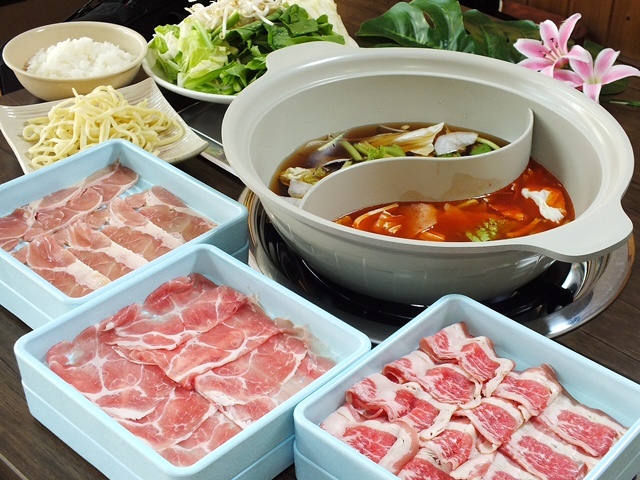 If you haven’t had Shabu Shabu, then you are missing out on one Japan’s best cuisines. You might be thinking that such a meal would be very expensive, but not at Shabuemon! They have an “All you can eat Shabu-Shabu” meal for only ¥990 per person (90 minute time limit)! 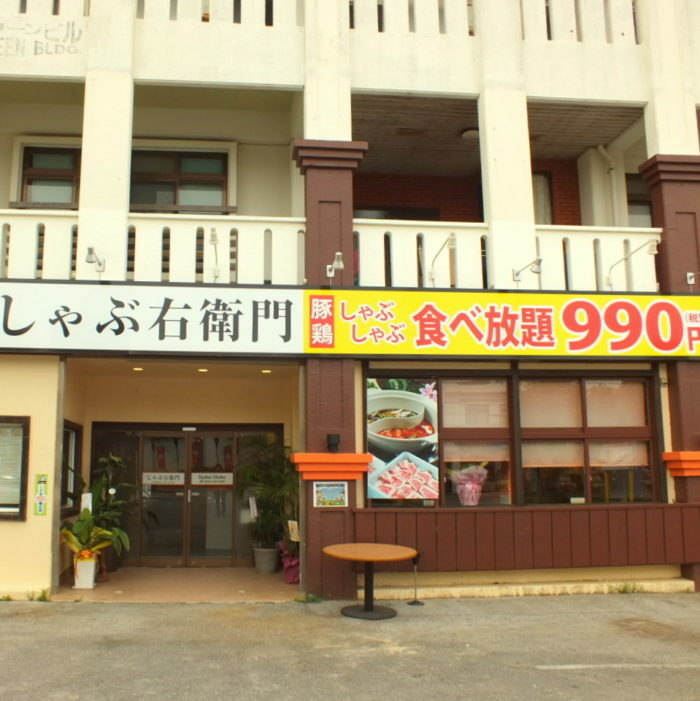 Add an extra ¥490 for all you can eat, rice and vegetables. They also have an all you can eat ‘Wagyu Beef’(Japanese beef) selection for only ¥2,390 per person! All you can drink soft drink and special alcohol menus are also available. And of course, orders can be placed separately. However, separate orders and all you can eat orders cannot be mixed within a group. The entire group must either choose from the all you can eat menu or each patron must order separately. According to the Manager Kimie, the secret to a good shabu-shabu meal is not just where you buy the beef, but how the beef is cut also plays an important role in the taste. 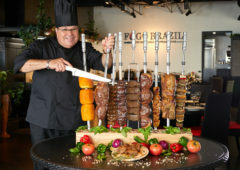 The owner of the restaurant is a professional meat cutting master. His skills transcend from the kitchen to your plate as you absorb the satisfaction with your taste buds. Cooking a shabu-shabu meal is not as hard as it sounds. First, you have your special pot filled with a flavored soup. After the soup is boiled, place your vegetables and slices of meats inside and let it cook. It’s that simple. Once the ingredients are cooked you can take them out and dip them in your choice of flavored sauce. Typically, sesame or Ponzu flavored sauces are the dips of choice. You can eat until you are full or when its all gone. 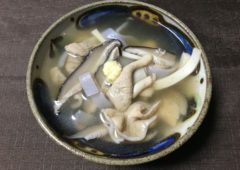 A popular Japanese practice is to place the rice and noodles in the leftover soup after all the vegetables and meats are gone. It makes for a great way to end your shabu-shabu meal. The soup is a very important part of any shabu-shabu meal. 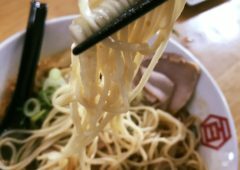 Shabuemon uses their own original, specially-made recipe. You can choose from soy sauce flavored, Korean spicy flavored, or Konbu (saweed) flavored soups. Pay an additional ¥190 and you can choose from Tomato flavored, Yuzu (citrus) flavored, or Soy milk flavored soups. At Shabuemon, you can have two soups at one meal setting, or if you like, you can have a mixture of flavored soups put together. Repeat customer often choose their own special soup mixture. And if you want to add in some garlic, it will be on the house. Please feel free to ask the staff next time you are in. 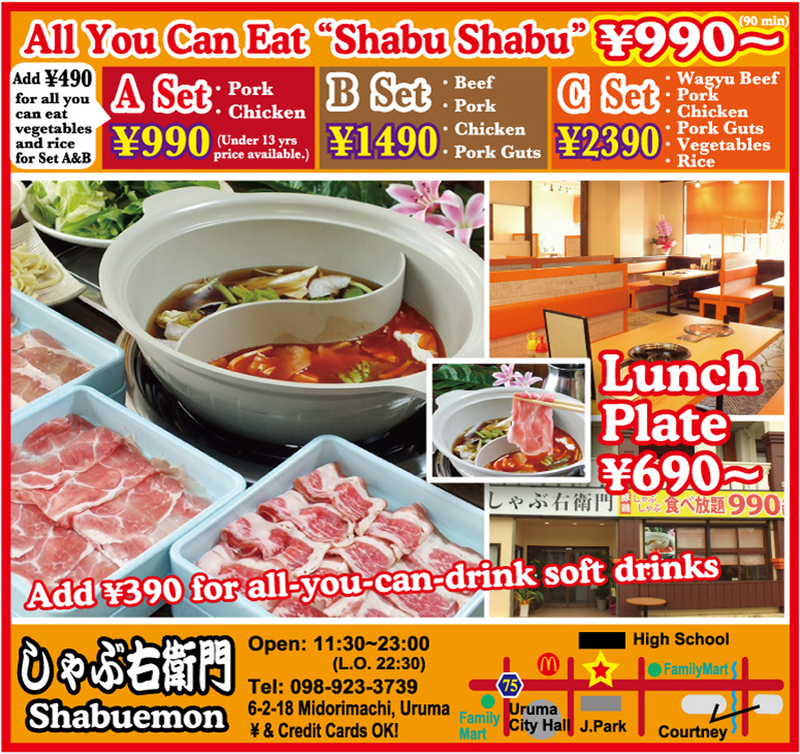 Now Shabuemon only serves Shabu Shabu ingredients, but they will be serving BBQ dishes during the month of December. Shabuemon is open 11:30~23:00 every day (last order is 22:30). 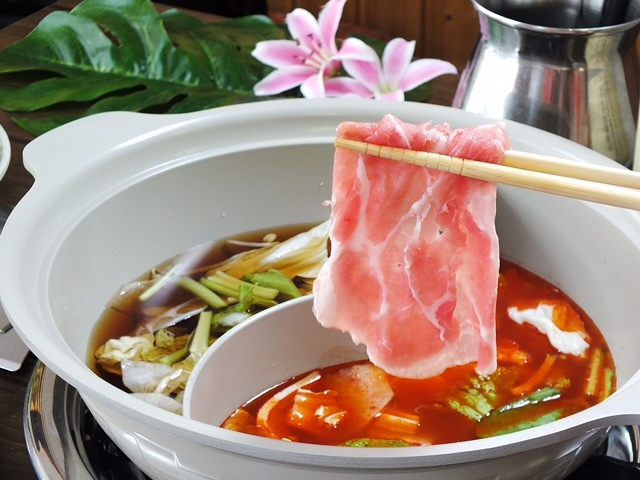 The special Shabu Shabu lunch plates are only ¥690~ available until 16:00. 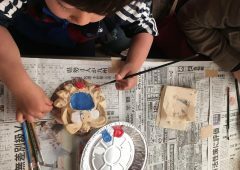 Shabuemon is located at 6-2-18 Midorimachi, Uruma City. 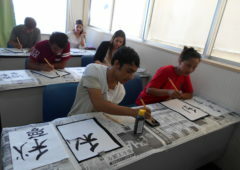 Tel: 098-923-2739. Yen and credit card are accepted. 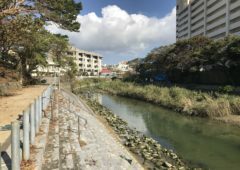 If you wish to dine at other Shabuemon affiliated restaurants, you can try the Tonkyu Hote located at Seaside Square 2F in Chatan town or Shabu Shabu Kokya located at the Tenbusu Building 2F on Kokusai Street in Naha City.